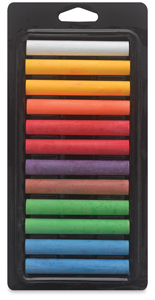 These brilliantly, colored chalks write smoothly and erase easily. 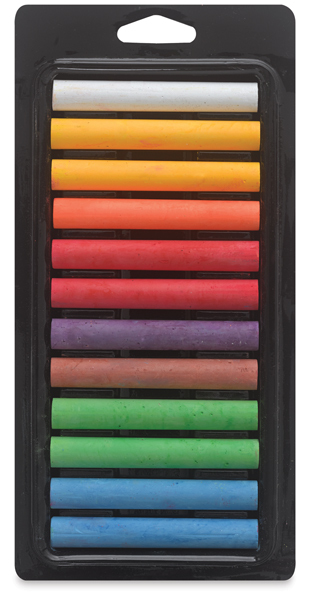 Each box contains 12 sticks of chalk in 8 assorted colors, including White, Orange, Purple, Brown, Yellow (2), Red (2), Blue (2), and Green (2). Stick size is 3-1/4" × 7/16". ™ Quartet is a trademark.® Alphacolor is a registered trademark.